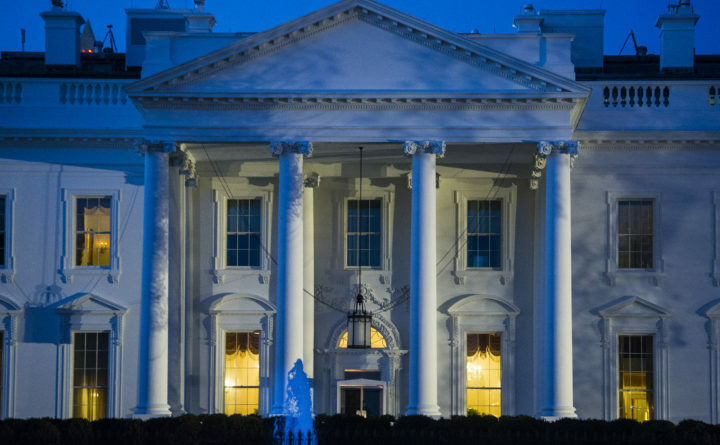 The White House is seen before sunrise, in Washington, Saturday, March 23, 2019. Special counsel Robert Mueller closed his long and contentious Russia investigation with no new charges, ending the probe that has cast a dark shadow over Donald Trump's presidency. President Donald Trump has uttered the phrase “no collusion” in the past two years to pretty much anybody who would listen — more than 200 times. On Friday, special counsel Robert S. Mueller III’s Russia investigation ended with the news that Mueller won’t be indicting anyone else. Nobody has been charged with conspiracy in working with Russia during the 2016 election, and now, nobody will, at least by Mueller’s team. Of course, Mueller’s findings have not yet been made public. Even so, some of Trump’s top surrogates are already declaring victory. Here’s a tweet from the chairwoman of the Republican National Committee, Ronna McDaniel: “The whole point of the Mueller Investigation was to see if a conspiracy with Russia existed to affect the 2016 election. “Dems like Adam Schiff promised otherwise, but it ended without a single American charged for colluding with Russia. It has been clear for months that Mueller was pursuing possible conspiracy angles late into his investigation. Former Trump campaign chairman Paul Manafort was revealed to have lied about sharing polling data with an associate with alleged ties to Russian intelligence. And a top Mueller team lawyer said the episode went “very much to the heart of what the Special Counsel’s Office is investigating,” according to a transcript of a hearing between Mueller’s team and Manafort’s attorneys. Longtime Trump adviser Roger Stone was also recently indicted on charges related to his outreach to WikiLeaks, which disseminated documents the Russians had hacked. His indictment said that “a senior Trump Campaign official was directed to contact STONE,” which was a curious and unusual use of the passive voice that didn’t indicate who did the directing. There was plenty of thought that person might be Trump. The president denied it. It’s worth noting that collusion (which is a blanket term Mueller’s team has used for a number of different types of conspiracy) is a crime that’s very difficult to prove. Even the publicly known links between the Trump campaign and Russia have been somewhat tenuous, as Philip Bump has rightly emphasized for months and months. This brings us to Trump. According to existing Justice Department guidelines, a sitting president cannot be indicted. The fact that Mueller isn’t indicting Trump tells us nothing about his conclusions about the president personally. But the fact that none of his campaign aides or advisers are going to be charged with conspiracy does suggest Trump won’t be accused. Trump could still theoretically have collusion-related problems, particularly if (a) Trump directly colluded or (b) someone else colluded on his behalf but for some reason is not being charged with it. Perhaps they cooperated and got leniency, for example. Or perhaps Trump publicly asking Russia to steal more of Hillary Clinton’s emails could amount to collusion by itself. It’s possible, but it seems unlikely. In that way, Trump and his supporters can rightly be encouraged by Friday’s news. It does not mean, however, that Trump is out of the woods. For all the focus on collusion, it was never the most problematic aspect of Mueller’s investigation for Trump personally. The collusion narrative was the sexiest one for the media to cover (and the one Trump pushed), but obstruction of justice was always the more likely crime Trump had committed. Friday’s news tells us next to nothing about whether Trump’s myriad questionable actions vis-a-vis the Russia probe, starting with firing James B. Comey as FBI director, might land him in hot water. Mueller’s investigation has also sprouted other probes in which Trump has been implicated (but not directly accused of criminal activity) in Michael Cohen’s campaign finance violations, and in which Trump’s finances and entities are being scrutinized.